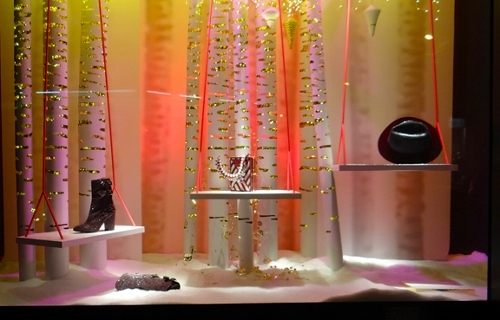 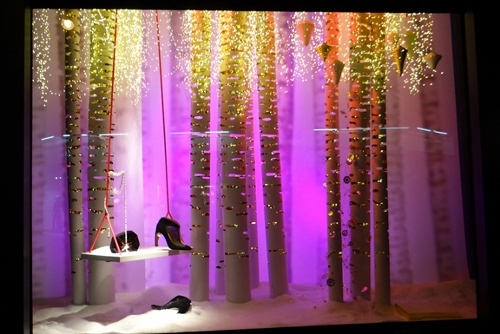 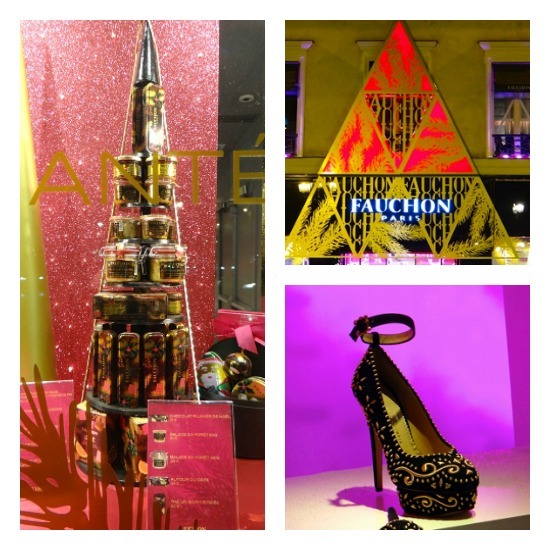 Paris Holiday Windows that we bet you’ll find inspiring! 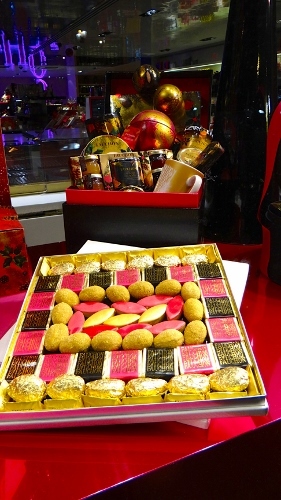 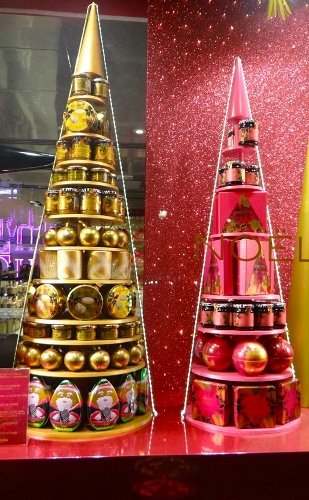 The windows of Fauchon on Place de la Madeleine has display towers of their delectable goodies of jars of foie gras and tins with cookies and biscuits. 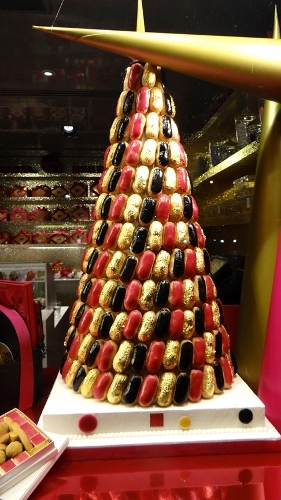 Along side are the classic macaron trees along with a new variation, a tree festooned with mini-eclairs in gold, hot pink, and dark chocolate. 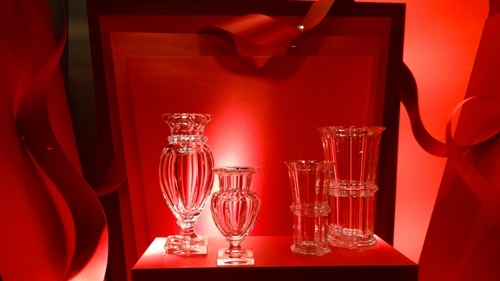 Across the square at Baccarat it was Christmas red as it gets which dramatically showed off the exquisite crystal. 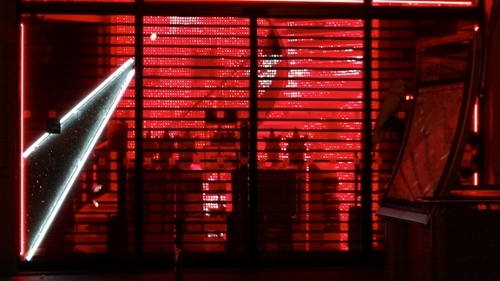 Sephora also had a dazzling light show, changing moment to moment from red to white. 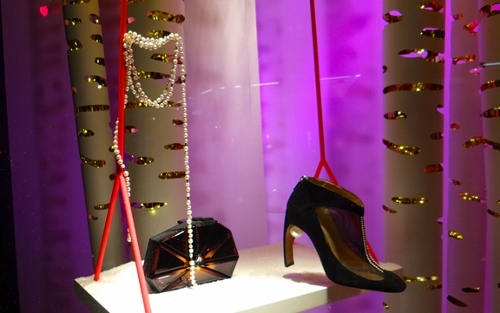 Across town on the Left Bank at Le Bon Marche, it was all about blinged out accessories with bejeweled shoes and chic metallic handbags against a background of birch trees.